AM Radio was king in the car for nearly 50 years. But since the 70s, its evolution has been fast and furious. First FM was all the rage followed by music on 8 Track and Cassette tapes. It wasn’t long before CDs started flooding the front seat and now, well you know, anything goes. Today’s Multi Media Interface can offer the driver everything from Satellite Radio Services to Navigation to even the Internet without breaking a sweat, but that’s just the tip of the chip. 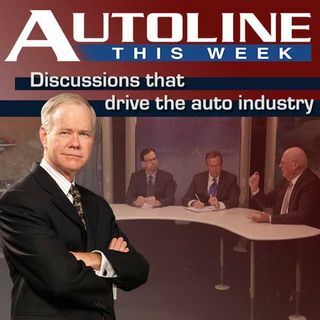 On Autoline This Week, John ... See More McElroy talks with three experts in audio electronics to hear first hand about the latest and greatest that they’re offering the consumer. Joining John are Marios Zenios, the head of Chrysler’s Uconnect Systems, Mike Hichme, GM’s Infotainment Design Manager and Allen Kudla from Panasonic Automotive.